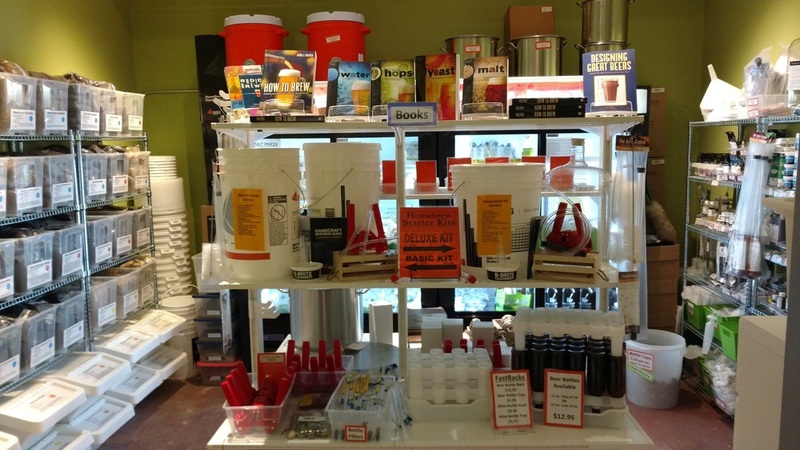 Stop by our homebrew shop for all of your brewing needs! Check out the Upcoming Events tab for latest updates on our schedule for "Learn to Homebrew" classes. We also love to share the Recipes of the beers we brew at FDR! Click HERE to see the Extract and All Grain Recipe Kits we currently have available. We pretty much have everything you need in our small yet mighty shop. If we don't have something, please let us know and we can order items for you! Our "Hall of Malt" always has more than 60 malt varieties on hand to meet your all grain, partial mash, and extract steeping needs. Click HERE for a list of malts we carry. We'll gladly mill your grains on site, if needed. We also carry more than 50 HOP varieties (Click HERE for a list) and proudly feature GigaYeast brand Gold Pitches - fresh, locally-made yeast just can't be beat! With a wide range of cleaning and sanitation supplies, water treatment additions, flavorings and additives, and equipment, along with a full complement of malt extracts, we're ready to meet the needs of beginning to advanced homebrewers. Come by the store and see what we have to offer to make your next great batch of beer at home.